Saturday evening in the Haus für Mozart promised long awaited rendevouz with two of outstanding Mozart gentlemen – Ildebrando d’Arcangelo and Luca Pisaroni. 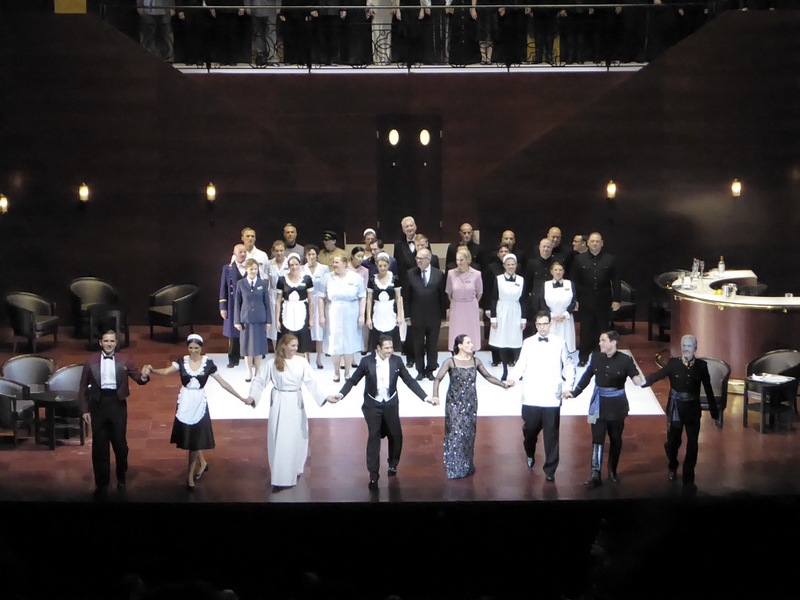 I remember seeing previous production of Don Giovanni from Salzburg live streamed in summer of 2014, featuring both Ildebrando and Luca, just before my first visit to Salzburg festival a few weeks later, and I still remember that performance like I would have attended it in person recently. Also d’Arcangelo as Don Giovanni impressed my early opera explorer days in Verona, even if the production was not the best of the shows run by Arena Verona. Reading high praise from opera critics and enthusiasts, I was eager to meet them both, and love to report that high expectations were met and fulfilled. Ildebrando d’Arcangelo excels as a villain – his Mefisto and Don Giovanni are unsurpassable both vocally and dramatically – his ease and magnetic stage presence captivates audiences. I have also seen him in Le Nozze, where he is at ease with both Figaro and Count Almaviva. Tonight d’Arcangelo took the audience with his first notes and kept that gripping hold till the moment of curtain falling. His polished, full bodied and warm bass baritone projects both masculinity and tenderness. Luca Pisaroni, also a bass baritone, has established a reputation as the exemplary Leporello, the main differentiator being his charismatic acting combined with outstanding vocal performance. Regardless of the fact that role of Leporello has been in his repertoire for quite some time, his interpretation is fresh, energetic and powerful. 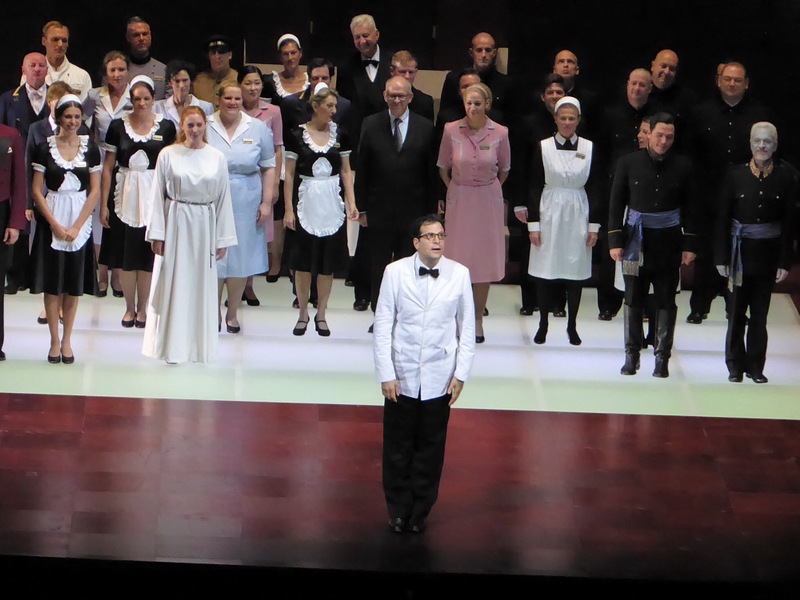 Every time seeing Luca Pisaroni I admire his stage skills, either it being Figaro, Count Almaviva or Leporello. 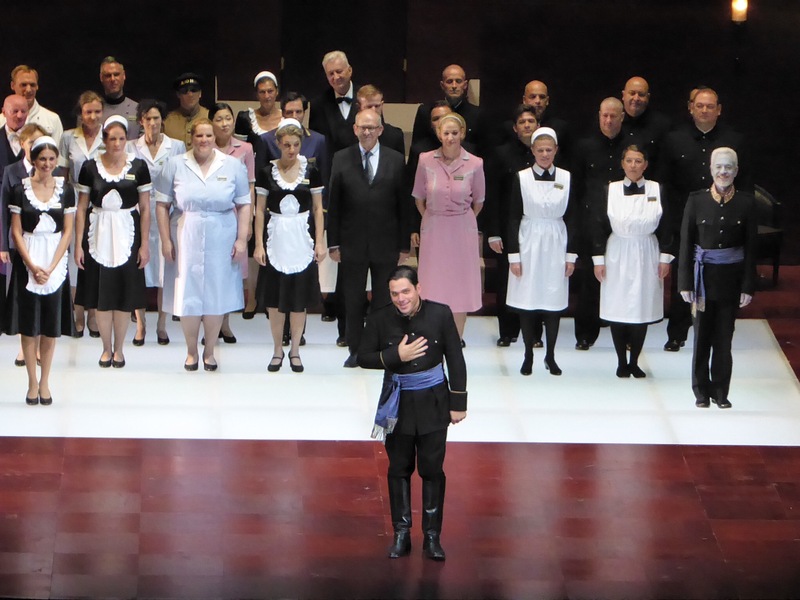 Vocally impeccable performance, filled with energy and agility – he is a charmer in making, even if until now Leporello was a clumsy servant relying on leftovers and bits and pieces of charm of the Master. 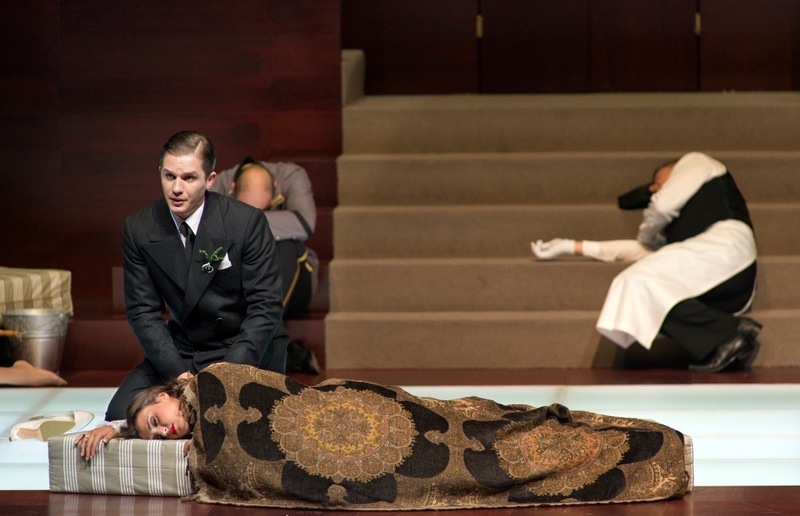 I was left wondering – when Luca swapped with Erwin Scrott Figaro and Count on the fly – happened last year in Munich, – would it also work vice versa here with Don Giovanni? Other protagonists were shadowed by the stars of the night, nevertheless, ladies did great job that deserves high praise. 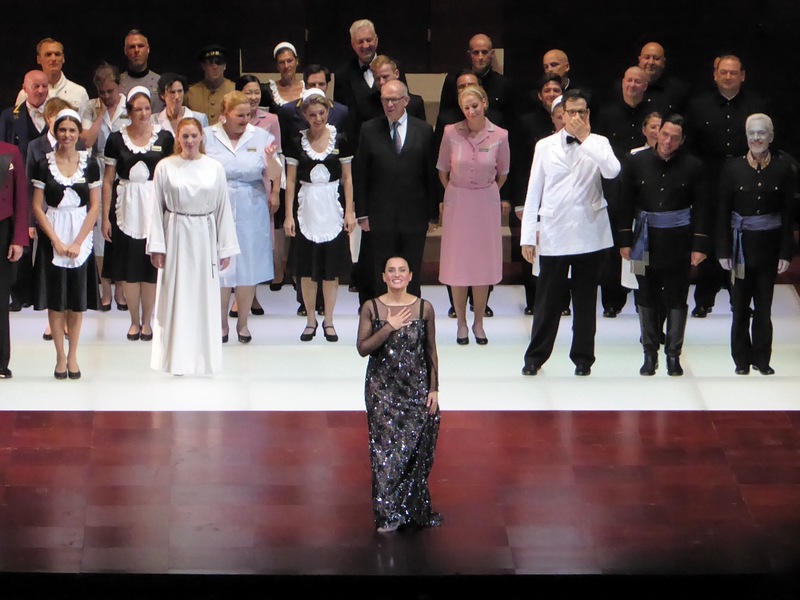 The most notable was performance of Valentina Nafornita as Zerlina, her voice has beautiful timbre and her vocal technique lets her to control voice projection and volume and deliver emotionally nuansed character. Her portrayal of young and fragile girl succumbing under pressure but keeping her stance was engaging and convincing, and she made male audience breathless with seduction scene and lust filled striptease. Her lovestruck bridegroom Masetto, tormented by jelousy and revenge was sung by Iurii Samoilov, he was convincing vocally in most of his solo arias, but lost in ensambles. 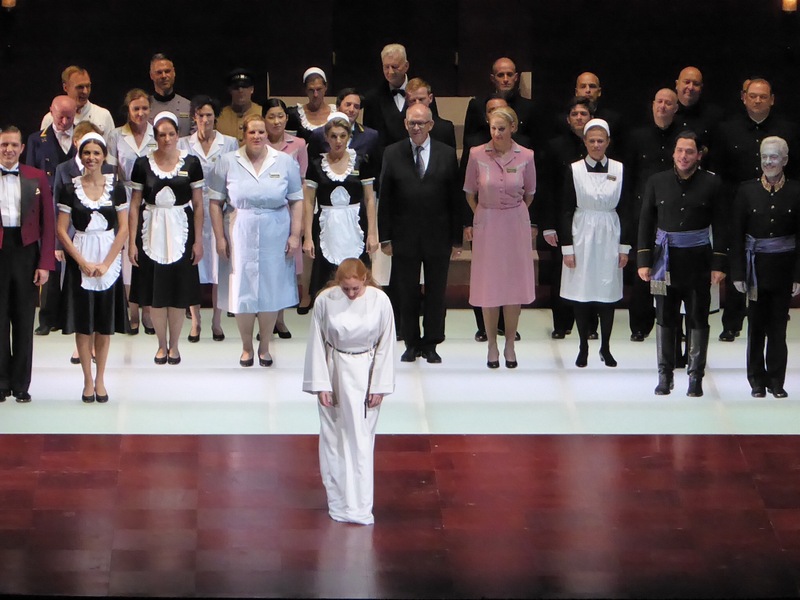 Donna Elvira by Layla Claire was expressive and well sung, there were some moments of unevenness in top range which did not affect overall performance. Somehow nor Donna Anna by Carmela Remigio nor Don Ottavio by Paolo Fanale convinced me with their vocal performances which were good but not exceptional. Remigio produced constrained sound on her top range, while Fanale sounded like Villazon at his unhappy day- while there were also a few arias they both delivered quite well. The orchestra sounded exceptionally well, led by Alain Altinoglu, especially strings have this very special Wiener Philarmoniker sound – the tempi might have been a bit more agile in some scenes, but that might have been to benefit singers. It is just extraordinary how Altinoglu controls volume in order to bring the best from orchestral sound while takiņg care of all support what singers might need from him. 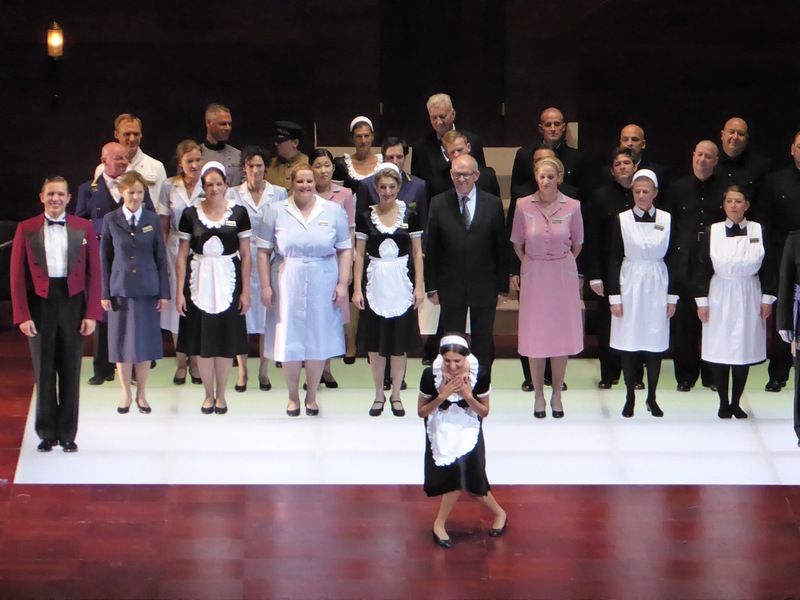 The production by Sven-Eric Bechtolf features the same hotel lobby which serves well as basis for all turns of libretto and provides a lot of opportunity to move around and introduce new props when needed. There is action in abundance, and it is obvious that all movements have been well through through and rehearsed, thus nothing is left to chance. The director’s hand has been supportive and it is obvious that each sequence has proper justification and is glued well into overall canvas of the performance. The style and “handwriting” has noticable similarities with Cosi and Le Nozze of last year. 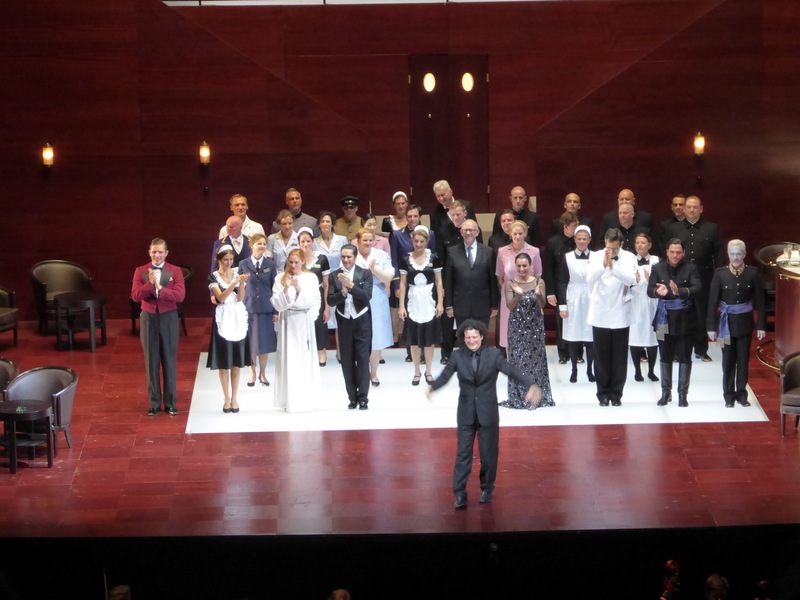 Another happy return, another valuable revival, another perfect cast assembled by Salzburg Festival – probably that is the magnet which attracts wide international audiences to return here summer after summer – like those dozen or more japanese enthusiasts sitting in a row in front of me, dressed in national costumes and mesmerized by the show. They will come back some time soon, for sure, and contest to source tickets for new season will become even more difficult than now.